Due to the spate of computer related dramas the Australian Government has had lately, I’ve been getting a bunch of practice at writing Freedom of Information requests. Here are some of my tips for successfully prying information out of sometimes recalcitrant government departments. You can ask government departments for information without using a formal FOI request, and this may be the better way to do things depending on what you’re after. Often the information you seek already exists on a website somewhere, it just might be hard to find. and you might be surprised at what turns up. Sometimes there isn’t an obvious link to the information, but the fancy indexing computers the search engine people use has found it anyway. This is also a fun way to find documents that have been accidentally published to the Internet. You can also just try emailing the department to ask for information, or find a contact number and give them a call. If the information is the kind of stuff they publish regularly anyway, this is a lot faster than using the formal FOI process, and you won’t be wasting the FOI team’s time on stuff they don’t need to do. Which means they can spend time on the stuff we do need to go through FOI for. A Freedom of Information request can only ask for documents that already exist. You can’t ask agencies or departments to create new documents under FOI. This means you need to be careful about the phrasing of what you’re asking for. It’s the information you’re really after, but you have to ask for documents that contain that information. It’s a bit like Jeopardy! where you have to phrase your question in the form of a request for a document. Documents containing a list of software purchased by the department in the last six months. Documents, such as meeting agendas, minutes of meetings, or diary notes, for meetings held with the Minister from 1 June 2016 to 1 Dec 2016 inclusive. Update: I’ve had my attention drawn to Section 17 of the FOI Act which deals with information stored on computers. There’s quite a bit of it about these days. Section 17 of the Act is a bit vague, but one could argue that generating a report from information stored in a database (a pretty common task in most organisations) would be in scope. I’m not used this line of argument in any of my requests, but it seems like a profitable line of inquiry. The more routine the kind of reporting an agency does on the information, the more likely it is that the request would be perfectly reasonable. Generating reports for management using BI tools, or the inbuilt dashboarding a lot of enterprise operations software have, is common. It’d be a lot harder to dodge the FOI request using the “would substantially and unreasonably divert the resources of the agency from its other operations” approach if the report you’re asking for is part of standard operations. Getting someone to write a custom SQL query is likely to fail because it would involve a billion different parts within the department all coordinating, which is hard enough when it’s normal work. No, I’ve never experienced that first hand whatever do you mean lalalala I’m going to my happy place to look at photos of quokkas go away. You can request access to personal information that the Government holds on you under FOI, but also under the Privacy Act. The Office of the Australian Information Commissioner has an excellent fact sheet about this. Make sure you don’t use public online systems, like RightToKnow.org.au, to request your personal information, as these systems publish the request and responses publicly. You’ll be telling the entire Internet your personal information. Instead, contact the department or agency directly. You need to be specific about which documents you’re asking for. There are two major reasons for this. 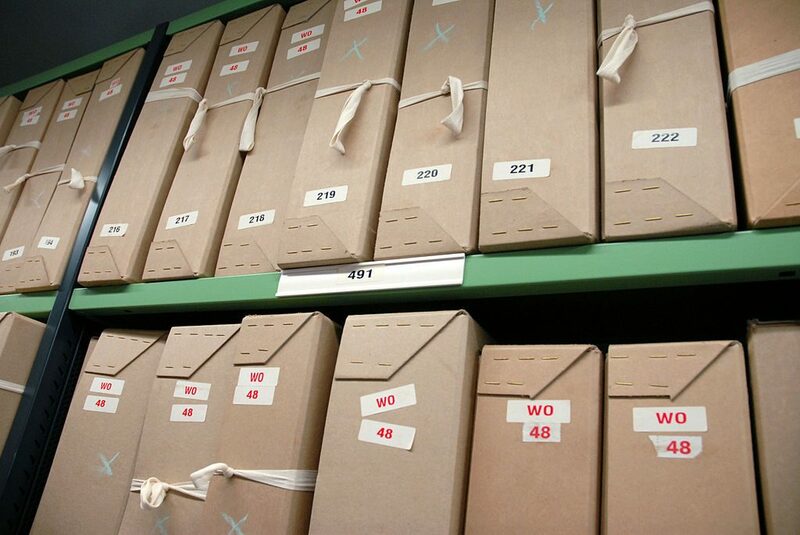 Firstly, the people looking for the documents need to be able to find them. The more specific you are, the more obvious it is that a document falls within the scope of your request, and the less wiggle room there is for the FOI people to say it’s not in scope. The second reason is that fulfilling an FOI request takes time. If your scope is limited to just the information you really want, then it takes less time to find the documents in question and check them, possibly redacting information that is exempt under the FOI Act. You might think that it’s clever to tie up a department’s resources with overly broad FOI requests, but that won’t actually work because you’ll be asked to pay for the time. You can be charged money to process your FOI request, so it helps to be clear about why you’re asking for the documents. If you’re asking for information about yourself, then there should be no charges. It’s not quite that simple, as you could be asked to pay the reasonable costs of printing out a bunch of stuff, for example, but generally getting access to your own information is free. You won’t be charged to lodge the FOI request itself. But, you may be given an estimate of how long it’ll take to process you request, and if your scope is too broad, it might end up being a lot of money. The first five hours of decision making time is free for everyone, but after that you have to pay for the processing. However, charging money for FOI is not mandatory, so you can ask that any charges be waived. I have had success in asking for charges to be waived when I’ve argued that the information I’m asking for is in the public interest. For example, this request for documents from the Australian Bureau of Statistics. If you’re asking for information about an issue that concerns a large section of the public, then you may well have a strong case. It’s not a magic incantation, so don’t just throw it into any old request. You still need to make your case, so be clear and to the point about why it’s completely reasonable that the department should agree with you about the information being in the public interest. If nothing else, you can embarrass them later if they deny your request or ask for lots of money, and you then draw attention to it. I see some requests that kind of give the game away about why the information is being asked for. If you’re trying to expose some embarrassing failure or oversight for the department, why tip them off that that’s what you’re doing? FOI departments were already fairly paranoid and secretive, and have only gotten more so in recent years. Don’t encourage them to try to hide information from you. Instead, make your request sound fairly innocuous. Why on earth would any reasonable person object to releasing the information? It’s clearly not harmful, and the information is the kind that the department would have readily to hand. It’s also a public interest issue, so why not just go ahead and give me the information I’ve asked for? Once you’ve got the information, then you can go ahead expose whatever omnishambles you find. The Office of the Australian Information Commissioner (OAIC) has a good primer on FOI here. OAIC also has lots of fact sheets, including this one on accessing and updating information held about you. You can read the actual Freedom of Information Act (1982) legislation over at the excellent AustLII service. The tremendous RightToKnow.org.au site has some background info on FOI as well. If you have other tips or resources you think people should know about, leave a comment! Tagged FOI, governance, government, information, sneaky. « Delta Patching: Why Doesn’t This Happen More?